I’ve got a thing for dupes. I do. I take an ENORMOUS amount of pleasure in stumbling upon inexpensive versions of my favorite high end makeup. Don’t believe me? Just watch read THIS or watch THIS. I can’t explain why it makes me so happy, so I won’t even try. But what I can do, is do a better job of sharing these finds with you. And if you’re ever on the hunt for a dupe, please just shoot me an email. Chances are I know of a dupe for whatever it is you’re looking for. 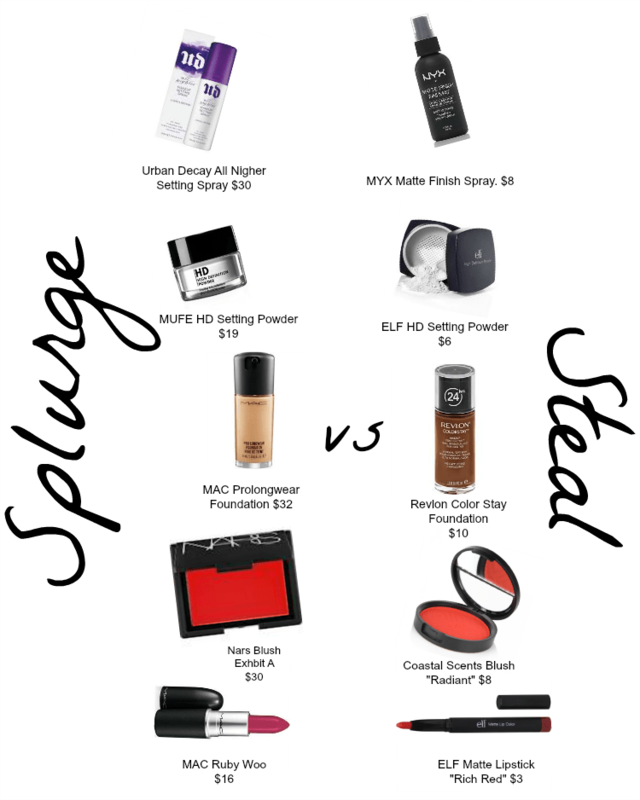 Below you’ll find a short list of dupes, but trust me, this will be an ongoing list. I plan to post a Splurge vs. Steal list for you at least every other month. Please post a comment below if there are any dupes you’ve been looking for. I need to check out some lipsticks and you might have hit the nail on the head for me one the ELF ones. 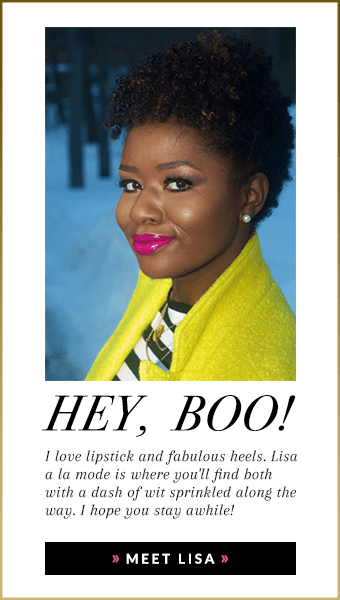 I am not too much into makeup and therefore tend not to pay ridiculous prices on those items. Thanks for sharing these though. This is an awesome post! I’m still just getting into make up so I’m not even sure what half this stuff is used for LOL. My obsessions right now are eye shadows, lipstick and eyebrows (of which mine are super thin 🙁 ) I love MAC Ruby Woo definitely have to check the ELF version. Which lip liner do you suggest? Also do you apply lip liner on your entire lip or just outline it? i wish toronto carried NYX products. i’ve tried that matte finishing spray before and it works so much better than the urban decay one. oh poo…do you have Target? Target doesn’t carry NYX in Toronto? Or amazon? nice blog! do u know of any dupe for mac “see shear” lipstick? its a coral color, or can u recommend a nice drugstore coral color for medium tan skin?